There are many health care organizations in the region surrounding Glendale, Arizona, which can provide you with high-quality professional care of various types. The best of those agencies are described below, along with their particular specialty, if applicable. 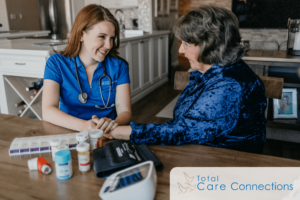 Founded in 2009, Total Care Connections has quickly risen to the top of home healthcare service organizations. In addition to providing quality care for individuals in need, the company charges an affordable flat rate so as to make their services available to every budget. Bayada has grown to be a very large health care organization, with a presence in 22 states, and thousands of professionals providing service. Specializing in providing support services and health care for adults and children in Glendale, Bayada is a leader in the field. Kindred health care professionals are available to provide care in whatever setting makes the most sense for a client – either at their hospital, one of their facilities for rehabilitation, or at home. Patients recovering from injury or illness have several choices about how to receive optimal care. Visiting Angels has been providing quality in-home care for seniors and others since 1998, with the philosophy of doing everything possible to allow a senior to live comfortably at home. Since virtually all seniors prefer this approach, the service is very well-received. This organization has won numerous awards for the adult care services it provides, including a ‘Best of Arizona’ award. All assistance is provided on an as-requested basis, and schedules are arranged flexibly to accommodate the patient. Since 1994, Home Instead Senior Care has provided outstanding in-home care to seniors, so as to allow them to remain in their homes where they are most comfortable. The agency specializes in customizing care plans to fit the circumstances of patients. Home Helpers begins their service to seniors with a free-of-charge assessment, to determine if in-home care is the most practical solution for a patient, and when it is, the organization provides reliable professional care, including an emergency contact arrangement. Founded in 1982, Griswold Home Care is the oldest non-medical home care facility in the U.S. All health care professionals in the agency are guided by the philosophy of its founder, i.e. that every person is entitled to quality care and dignity while receiving assistance. 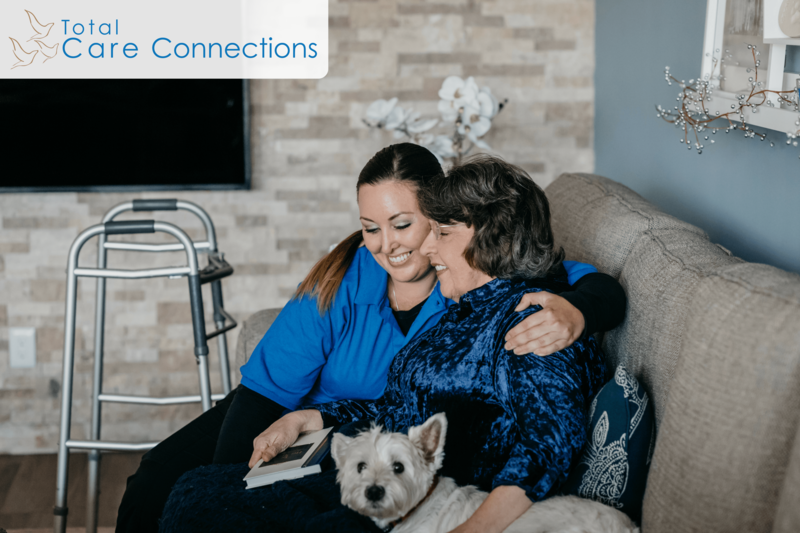 Providing comprehensive support services for seniors and individuals who are in some way disabled, Devoted Guardians has been a respected industry leader since 2007. Assisted Home Care provides a number of services for individuals requiring care, including home health care, palliative care, hospice care, nursing services, and caregiver services. Synergy Home Care provides non-medical home care for patients recovering from illness or injury, tailoring a program of assistance to the needs of each individual. Touching Hearts specializes in at-home services for seniors and disabled individuals, offering household cleaning, companionship, dementia care, assistance with dressing and hygiene, and meal preparations. BrightStar Care has a very high standard of professionalism, employing certified caregivers, nutritionists, therapists, and nurses, all of whom are ready to assist seniors at home in whatever capacity may be necessary. At Heart Home Care is a family owned and operated organization, delivering non-medical services, and dedicated to helping seniors retain maximum independence and flexibility in the comfort of home surroundings. All Valley Care is an organization which prides itself on being on call 24×7 for its patients, ready to provide critical services at all times. Founded in 2002, the company has excelled in helping seniors at home with whatever services are required.